Thinking about backpacking Europe or anywhere else around the world? TravelPUNK’s mission is to help you get prepared for that trip of a lifetime. Whether you want to back pack Europe alone or back pack anywhere else, this site will help you. This site is packed with information to help you travel safe, smart, well prepared, and with confidence. 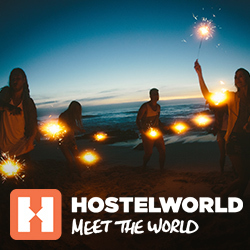 Hostels: Book cheap hostels here. Reserve online with a tiny deposit! Backpacker Forums: Backpacker forums. The world gets much smaller when you meet travelers from around the world. Register for free and tell us all about your trip! Backpacker Budget. How Much Money Do I Need? I usually backpacking with my friends during my holiday. And I think Vietnam is a great choice to discover. There are many interesting experiences are waiting. One of the most amazing is travel from Hanoi to Halong (https://www.seaplanes.vn/en/scheduled-flights/flight-hanoi-halong-bay-seaplane.html) by seaplane. The view from the seaplane of Halong Bay is very beautiful. I am very want to go back to Vietnam one more time to explore more this beautiful country. However, for the next time I also do need some tips on backpacking to have a real backpacking trip.